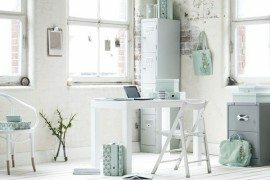 Whether you have a small bureau tucked away under the stairs or an annex dedicated as your working environment, there are some key elements that will contribute an effective working environment — Clare, who’s a specialist from Wooden Furniture Store shares her thoughts on what’s effective when working from home. 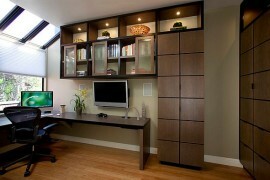 Whatever area you use at home for work, it’s vital that it’s a functional yet inspiring space. 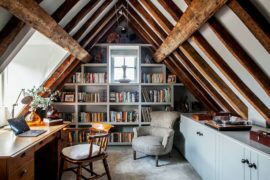 From paying the bills to writing the next best seller, lots of important decisions are made from where we work at home so to make the most of this often over looked area of the home here are some key things to consider for your home office. My top tip is to create some separation. No matter how you might look to do this, if it is possible to then separate out and make as physical a barrier between your home life and your work-at-home life as you can. Obviously, the best way is to set up in a different room or area that is distinct from your living / family area. But if this is not possible, at very least do not pollute your working area with items or distractions from your non-work life because as soon as you step into your home office area, you should be in the ‘work zone’ with potential distractions or interruptions kept to a complete minimum. Stepping into that space should signify to yourself and others that you mean business. Office planners have to comply with health and safety guidelines regarding the availability and quality of light provided in commercial office buildings, and for good reason. The workplace can be demanding on the eyes, with constant focus required on computer screens, documents and other devices. This is as true in a home office environment as any commercial office space, and as the ideal type of light is natural light – make sure you can get enough. Try to choose a space with a window to allow as much natural light to permeate the room as possible, and position your main work space (desk/easel etc) nearby. If this is not easy, then supplement the environment with a floor light alongside your main workspace or desk. The floor light will free up desk space and give a more ambient light to the work area. I’m sure you’ve heard that phrase, and it’s as true when thinking about the home office as in any other context. 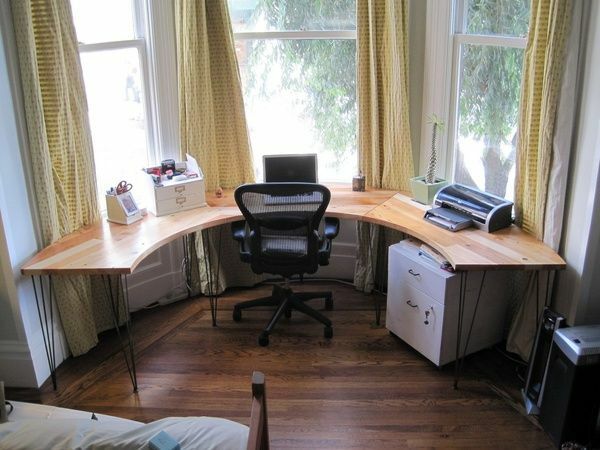 So, start with selecting a good desk as this is where the majority of the work will be done. 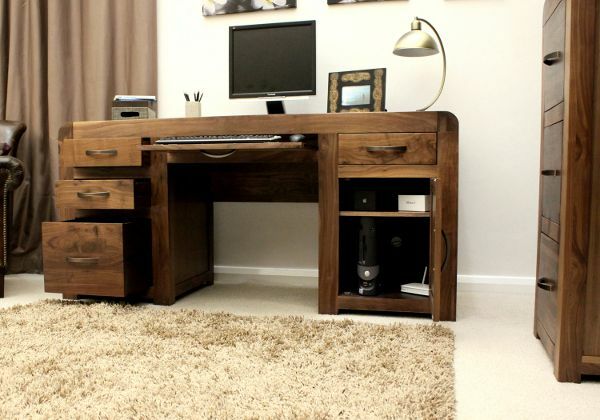 Be sure to keep the desk space clear and clean for working, and ensure that you have enough surface area to work with. Think about the five items you use most regularly for working in the space and keep them within reach. That could be pens, stapler and so forth if you use your desk to pay the bills. Whereas if you tend to do more creative work, consider making space for a pile of books that you’re being inspired by, along with a calendar with a list of client deadlines. Tackle the small things that continually waste your time – for example invest in a clock with a built in calendar. A major contributor to a healthy office space is storage – basically it’s difficult to ever have enough good storage as you’ll need to organize your documents, filing, office supplies efficiently. Personally I don’t think that there is anything more likely to give the feeling that work matters are in hand than good quality storage. Hide paperwork in pretty files or boxes, store smaller items in glass jars or consider stacking up lidded baskets for attractive and portable storage. 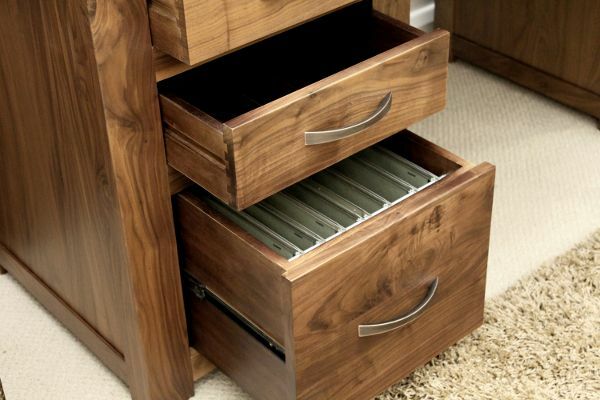 And of course, a filing cabinet is a good place for mailing and shipping supplies, envelopes, and personal stationary. A solid bookshelf works well for storing all reference guides, books and other materials. A pinboard that extends the length of your desktop can not only help to keep you organized but can also be used to help make the space beautiful and inspirational. If one of the motivations for working from home in the first place is because you are independently minded, then it figures that you’ll want to be able to stamp your personality on the one area you’ll be spending most of your time. There are no rules to this part; simply think what will make you comfortable in your environment – without causing distractions. Incorporate items such as fragrant candles or an iPod station to have music on hand, both designed to create a relaxing atmosphere. Use fresh flowers or a plant in your office, to give a touch of natural beauty – it could be as simple as a tropical leaf or orchid plant in a tall vase. 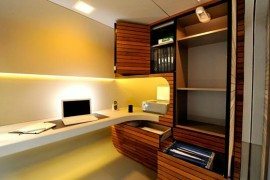 Whatever it is, the perfect space to work is easily achievable. It just takes a little bit of planning and thought.